While you were debating whether you should bring a jacket or not, the fall season arrived. Are you ready? As is typical of the season, it announced its arrival in modest fashion with a plentiful showering of leaves in your yard followed by plastering the words “Pumpkin Spice” on any flat surface in town. And you, in your quest to discover what the heck an autumnal equinox is, probably haven’t even had the chance to plan a fun, family event to celebrate the change in the weather. 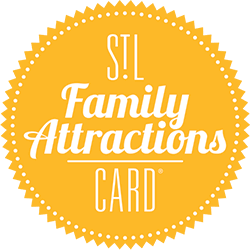 Well, don’t worry – Family Attractions Card has you covered with some great fall adventures for the whole family! As the temperature drops to that perfect setting where you can turn off the AC and open the windows, it’s time to grab the kids and find the perfect activities that combine adventure and exercise with a healthy dose of fun: apple and pumpkin picking! You have a lot of great local options to choose from for this annual treat, but we’ve narrowed the list to three family-friendly locations. Eckert’s has three locations in the Illinois area to pick your own apples and pumpkins while holding the whole family’s attention with old fashioned activities that have kept kids entertained for decades. Belleville is set up as a year-round farmer’s market, while Millstadt and the new Grafton locations consider themselves “mini amusement parks” with kid-centric areas that greet your little ones with petting zoos, carnival rides, games and many more special activities. Each location provides a unique experience and plenty of crops just waiting to be picked and enjoyed by your family. Every weekend in October, you can head over to Stuckmeyer’s Farm Market in Fenton near Highway 141 and Highway 21 to take part in the “Farm Fun Days”. This family fun involves pumpkin and apple pickin’, hayrides, live music, farm animals, caramel apples and all the other staples of fall that get you excited about the changing seasons. Admission is free and there’s plenty for everyone to do. There’s even a family-friendly Halloween section called ‘Fort Spooky’ with an inflatable Haunted House and more. Located in St. Charles, Herman’s Farm is open daily from 9:00am to 7:00pm. Their locally grown produce and children’s play area make for a great time for the whole family. This means apples, pumpkins (as well as tomatoes and mums) are ripe for the picking. When you spend $15 at the market or orchards, you and the whole family get to ride and play in the kids’ area for free. There’s an inside and outside play area filled with activities, as well as hayrides for exploring the beautiful orchards. On the Illinois side of the Mississippi River, Relleke Farms has been hosting their Fall Festival for years. Every weekend through October 30th you can make the short drive from Downtown St. Louis to this family owned farm that features a giant corn maze, ‘Krazy-Korn’ Palace, pony and camel rides, a petting zoo, rides, a haunted barn, bounce houses, face and pumpkin painting, and mini-golf. Once you’ve had your fill of rides, grab a wagon and head out to the pumpkin patch to pick out that special pumpkin (some as large as 150 pounds or more)! Brookdale Farms is home to the largest corn maze in the St. Louis area. On the weekends, pack up the car and head just a few miles away from the city limits to visit this local fall favorite. Once you find your pumpkin in their huge pick-your-own patch, head onto the main grounds for lots of activities including: pony and camel rides, a corn box, hay jump, zip line, and the new (gotta see it to believe it) team sport of “Knockerball”. 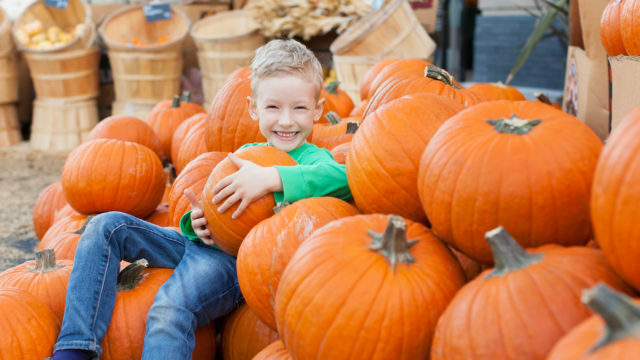 Open 7 days a week, Rombach’s Farm, located in Chesterfield, MO has plenty of activities for the whole family to enjoy this autumn besides just their awesome pumpkin patch. They have hayrides, the Great Pumpkin Pyramid, a country store that sells, among other things, their own private label jellies and jams, face painting, pony and barrel rides, and an onsite BBQ joint. In October, both Thies Farm & Greenhouse locations are transformed into ‘Pumpkinland’, a farm-fun, pumpkin-powered play area. Pumpkinland is open Tuesday-Sunday and has the typical fall fare of a kids play area, petting zoo, corn maze and wagon rides, with even more to do on the weekends including: face painting, pumpkin decorating, pony rides, and a corn cannon. From September 30th through October 2nd, the Missouri Botanical Garden hosts a special gathering of over 120 local food producers and crafters featuring baked goods, handcrafted items, custom jewelry and more. On October 1st, the Grove is transformed into a vibrant street festival where thousands of community members gather for the 11th anniversary of Grove Fest. Expect amazing food and crazy street performers, all topped with great live music. On the last weekend of October, head to Kimmswick, MO for a special fall festival featuring crafts, food and live music. Enjoy apple butter churning, pumpkin carving and more as 100’s of vendors are on display with seasonal crafts and foods for sale. While it may not hold the allure of the foliage in Massachusetts or Vermont, Missouri is a great place to see beautiful fall colors. According to the Missouri Department of Conservation, black gums, bittersweets and dogwood trees start changing colors in late September, and by mid-October, the maples, ashes, oaks and hickories are at the height of their fall display. Generally, the views are always best when viewed from a bluff at a nearby forest or park, like Castlewood State Park, Lone Elk Park or any of the many other great state parks in Missouri. Also, a nice drive through a back road, a walk through an old neighborhood or a hike through a quiet, conservation area helps uncover the beauty of colorful landscapes at your pace and makes for an easy way to unplug and absorb nature. Dave Murray, Chief Meteorologist at Fox 2 News, has said that one of his favorite ways to view the fall colors in St. Louis is to head along the Great River Road in Alton, IL and catch a ferry that takes you on a relaxing boat ride through the St. Charles counties, past the river and farm lands, where you can even jump out and visit the local farms to pick apples, pumpkins and more. 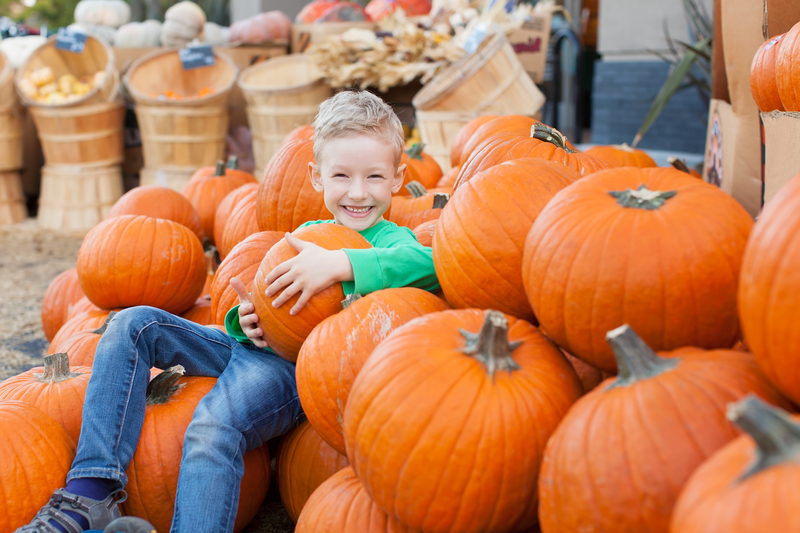 So, grab your best pumpkin-pickers (and probably a jacket) and take advantage of this beautiful time of the year with any of these seasonal activities for the whole family to enjoy. Looking for more to do? Check out 15 FREE Things to Do in St. Louis!